Winning any award is always a proud moment, but picking up "Mitel Contact Centre Partner of the Year" is special. It is a real endorsement of our knack for contact centre solutions, design, delivery, support and innovation. 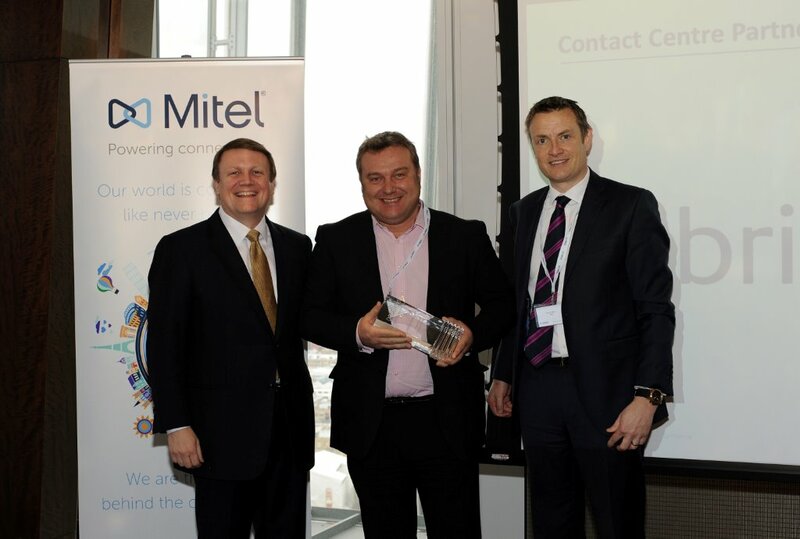 On 26th March Mitel held its annual Directors Briefing at the architecturally striking Shard in London, where they recognised the contribution of its channel partners in driving growth by presenting awards to partners who have contributed the greatest revenues in 2014. Mitel’s Executive Vice President and President for Europe, Middle East, and Africa (EMEA), Graham Bevington presented Britannic Technologies with the ‘Contact Centre Partner of the Year’ award. The achievement was for contributing the greatest revenues and capabilities in the Contact Centre sector with a staggering 41% year on year growth. “We are proud to honour this prestigious award to Britannic; it recognises their outstanding revenue performance and capabilities in the contact centre market. This has been a result of their unwavering focus on developing and shaping their customers’ Contact Centre and customer experience strategies through thought leadership and industry best practice,” said Graham Bevington, Executive Vice President and President for Europe, Middle East, and Africa (EMEA). This is the third award that Britannic has received for its contact centre business over the last year due to its phenomenal success in the sector.